BMW 5 Series is doing wonders in performance and handling, making it hard for the rivals to catch up with it. BMW is coming up with the more modified version of its 5 Series model and with its mid-size sedan, it seems to have diverted gears and taken a more luxury-oriented perspective. Earlier, it was known as a driver’s delight, but now it is more of a road cruiser as it has lots of people and cargo space, a luxurious interior, and a variety of systematic and powerful performing engines. This year, when M550i performance model was launched, everyone was expecting the Ultimate Driving Machine, but it too experienced some mixed bags of dynamic features. The BMW 5 Series a classic and stunning look. However, the 5 Series has not undergone any change to its exterior styling this year. It has the vast variety of trims, wheels, and colors that enables you to dress up the BMW. If you are willing to give your BMW an aggressive touch, you can go with an M sports package and for a classier look with chrome accents, go for a Luxury package. The 5 series has exceptionally comfortable front seats and the car can hold five people. You can adjust the front seats in around 16 or 20 ways, sometimes it takes a little effort in finding the perfect position. In case you don’t find the standard synthetic leather much attractive, you can always reform the leader to Dakota or Nappa leather for adding contrast stitching. As the front seat is very comfortable, you may find the rear seat less comfortable, but still, it is spacious and relaxing. For the most parts of a 5 Series, hooking of child safety seat into the back is not a troublesome activity. For each outboard seats, there is a set of lower anchors and for all three rear seats, there is a tether anchor. Though the lower anchor can be difficult to guide around, the hardware doesn’t require extra grunt to use, is easy to find and clearly marked. Spending time inside a 5 Series sedan is a pleasure as its design is advanced and modern and it has so many first-class materials. For Instance, it has trimming of synthetic or genuine leather on the dash, trims of wood along a gloss or matte finish and builds quality is of similar top-level. The 5 Series sedan can carry more stuff in its trunk than its rivals as its cargo room is of 18.7 cubic feet height. For oversized items, the split-folding rear seat makes an ample amount of space, and loading items on the trunk is now an easy task because of the available hands-free trunk lid whenever your hands are full. For technology, the 5 Series has got A-plus. The infotainment system can be operated by using the reactive 10.2-inch touch screen (which has a customizable layout) through a voice command or a control knob present between the seats. The available gesture control system is the other high-tech of 5 Series, with the help of it, you can disconnect the incoming phone call and just by using hand motion, you can turn up the stereo. There are many features of 5 Series, out of them, two of the remarkable features includes available Apple CarPlay and a standard navigation system. The fabulous 5 Series is known for its tremendous engine choice, luxurious and spacious interior and lots of available high-tech. The new 530e plug-in hybrid has an added warranty benefit of an eight-year-or-80,000-mile policy which covers hybrid and battery components too. The 530e is well-organized and decently perky. As the M550i xDrive set down fierce speeding, the driving admirers will love it more. Also, the 530e model which is armed with Dynamic Handling package now comes with active steering and M Sports brakes too. The 5 series has executed well in crash testing and even earned top marks across the board from the Insurance Institute for Highway Safety (IIHS). No matter what, every model have at least two or three downfalls like BMW 5 Series have some, such as the same styling as 2017 model, lack of standard features and unexciting handling. All three models lack in driving enthusiasm which everyone always expects from BMW. 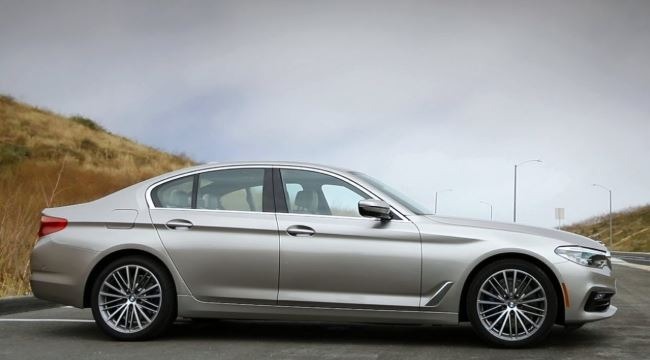 5 Series is made more for giving comfort to the passengers than for the driving pleasure. Many safety features of 5 Series are available but only as an addition to the car price which means you have to buy one of the expensive option packages. 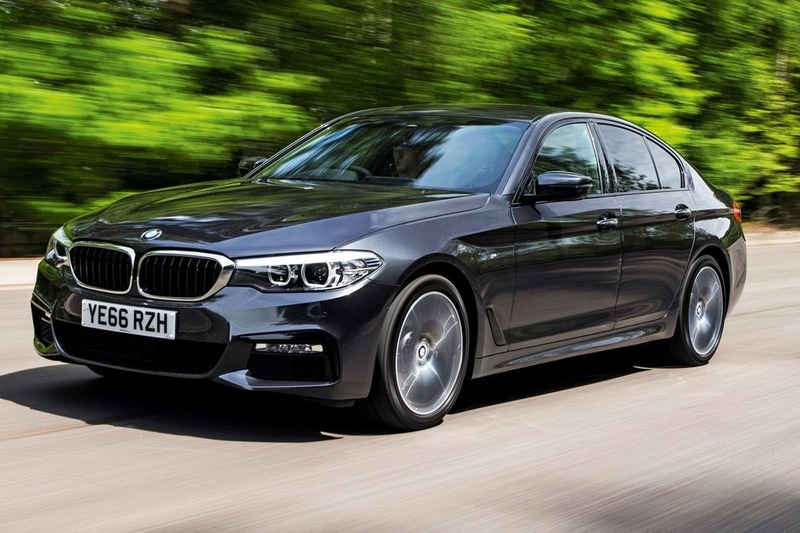 The BMW 5 Series is a well-rounded posh Sweden that is not as good as a BMW model should be. The 2017 model of BMW 5 Series had a total design transformation in which almost every element of it was brand-new. Its features a new classic and revamped interior, and brand-new engine choice that is more strong and more systematic. However, it may not seem to be different from the other cars which it replaced. 5 series model has introduced three new categories for 2018 and each model is different from one another in the basis of fuel economy and performance spectrums. The vigorous M550i xDrive has a twin-turbocharged 4.4-liter V-8 engine, while the plug-in hybrid 530e performance gives up to 16 miles of electric-only range and the diesel-powered 540d xDrive boasts 36 mpg EPA highway fuel-economy rating. The new model 530e and the base model 530i can now be armed with the Dynamic Handling package ($1950 and $1450 respectively), which comprises of upgraded brakes and an adaptive suspension; rather than having it as a stand-alone option, this packet also bundles active steering. Previous year’s Luxurious seating package for 540i and 530i models now contains leather upholstery and full merino leather which is now available for $5500, a leather dashboard ($1200) and a gray-colored faux-suede headliner ($1000).